It almost feels fashion week is every day, everywhere but the Boston Marathon equivalent of fashion weeks ended earlier this month in Paris, now I can safely call out some trends for fall/winter 2019, things you will spot on your favorite fashion magazine editorial, sported by all the fashion insiders, and most likely, in the “New Arrivals” of Zara faster than the designer brands themselves can stock the suppliers. Without further a due, here are my top trends prediction for FW2019. To be more accurate, it is transparency. Mesh, tulle, lace, metal netting, you name it. The allure of being vague make these materials daring but darling at the same time. The open mystery they convey gives its wearer a great boost of self confidence. One doesn’t have to be a dancing queen to rock the sequins this coming season. They come in so many different degrees of shine, from complete matte to brilliance and colored from white to pastel pink. The best way to think of it, is to wear it as if you will with leather pieces. 4. Do You Play Chess? Are you tired of seeing another plaid piece? I sure am. You can image my happiness when I saw all the chess board print from mega fashion houses like Dior and Chanel. The chess board print is more laid back yet still classy. While plaid is not going to disappear, you bet chess board print will be more available in retail this coming fall. After fedoras, berets and newsboy caps, bucket hat will be the new hat sensation. Again, it is gender neutral just like the other ones, but more chill and goes better with streetwear / off-duty / atheleisure fashion. It’s happening now (see my last style post) and it will continue throughout 2019, the fashion frenzy with neutrals hues, most often seen in tonal styling. 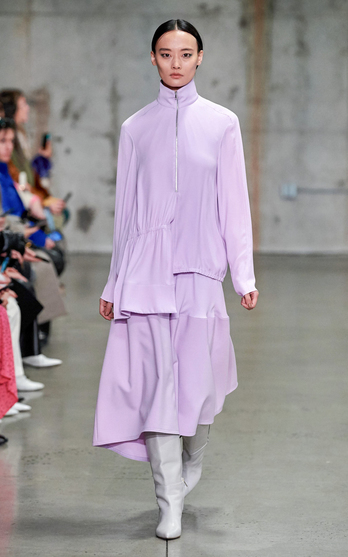 There is not particular way to layer the neutrals, but my favorite silhouette on the runways is cropped knit, silk shirtdress, wide leg pants, all oversized and layered on top of each other. A collection can’t be commercially successful if you don’t take care the needs of all audiences, so you bet the die-hard girly girls are not left behind with all these new age of feminist movements going on. 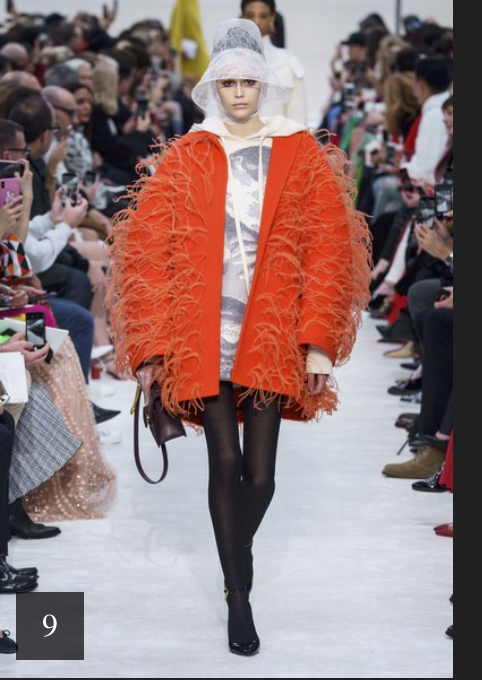 Besides the entire collection of Dior, Zimmermann, Self Portraits, etc, fashion designers known for their edgier and more forward design concepts also brought to the stage looks that will please the little girl inside all of us. Pastel for winter, ground breaking! If we can wear white all year long, why not pastel? Combined with oversized, padded shoulder, cool pastel shades like lilac, icy blue and pale pink can be just as fun as tweed! Bling is a girl’s best friend! 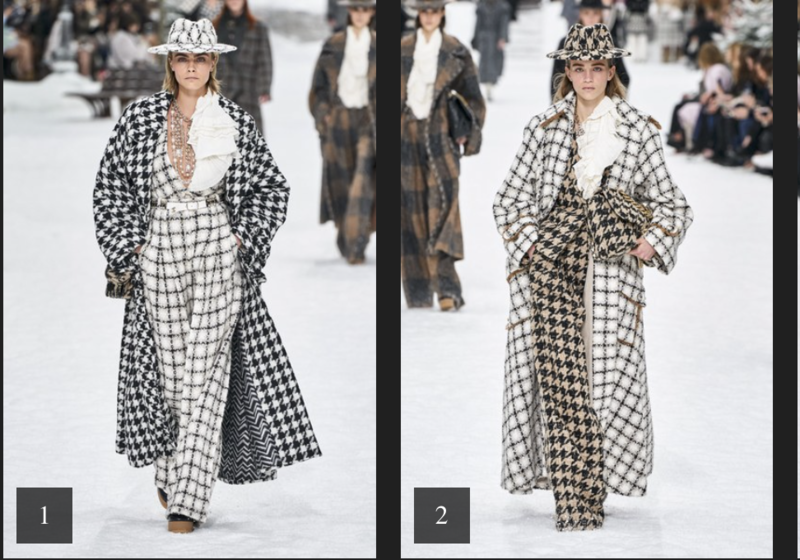 It is definitely the case for FW19, besides all the sequins and embellishments, many designers opted to style their runway looks with statement bling earrings, crystal chain belts, some go as far as body chains.